I was born in a vicarage on Tyneside in 1948. However my parents moved to Ludlow in 1964 when my father became the rector of Ludlow. I have worked in Chile helping to run an orphanage, and in a voluntary of employed capacity, in many forms of social care. I am a former member of the Labour Party and was a parliamentary candidate on three occasions and elected to represent the Hinton and Hunderton division on Hereford and Worcester county council in 1992. I now represent the same ward as an Independent, on both Herefordshire Council and Hereford City (parish) Council. 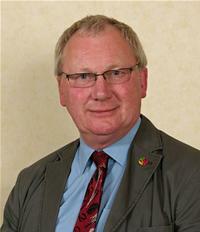 I am on the Board of the Hereford Academy, and was Chairman of St Martin’s Primary School for several years. I was responsible for bringing the South Wye Regeneration partnership to the area and was its chairman for seven years. My other interests include mental health, adult and family services, community regeneration. I support Newcastle United, Welsh Rugby and the work of Challenge Community Church.